I Know Disney, So Why Book Through You? You're a seasoned Disney traveler. You know the parks as well as I do. You have your proven strategies to maximize your ride time and your family knows exactly what to book when it comes to making your Fastpass + reservations. You know which restaurants you like and you know where you want to be and when. In fact, you’ve probably helped others plan their Disney vacation as well. So why would you need or want to book through me when you can do it on your own? The simple answer is time and money and not necessarily in that order. 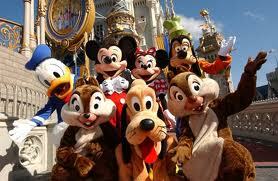 I work with Mouseketrips, where we are an Authorized Disney Vacation Planner. 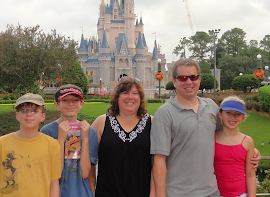 This means we are recognized by the Walt Disney Company for our experience and expertise in planning Disney vacations. What this means for you is I am in the loop for knowing about every offer and deal that Disney presents. When I book your trip, I know exactly which offers you qualify for and will ask for those prices to be applied. But typically, offers become available after people have already booked. I keep track of all my families and when new offers come out, I automatically rebook every family’s vacation that qualifies to get them the same package at a better price. You don’t even have to know the deals came out or ask me about it as you will probably first learn about the Disney offer when you receive an email from me telling you I just saved you money! And you probably wouldn’t even be aware that I woke up early the day the offers became available and sat on hold for three to four hours to make sure my families got in on that offer. When you call Disney directly, they will not tell you about the offers available, you have to know and ask. They will not say to you, “Hey, if you adjust your vacation by one day, you would qualify for this deal that will give you free dining.” I would. I act in the same way your realtor or your attorney would. I work on your behalf, and making sure your family has just the vacation you want, for the least possible price is my number one priority.